Coptic bound book, hand sewn with waxed Irish linen thread. The cover is made of legitimate leather and imported marbled endpapers. This coptic book allows you to open it completely flat no matter which page you are on, making it ideal for writing and drawing. 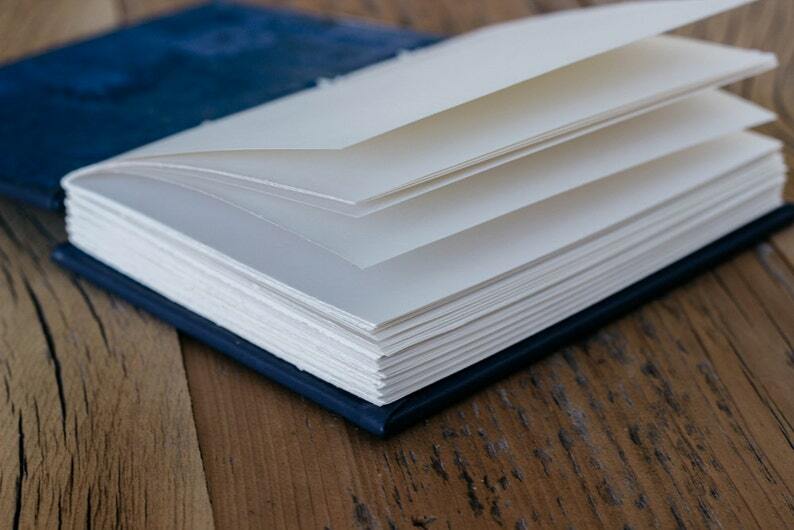 The pages are carefully torn by hand, giving it a rustic appearance. The small size is perfect to carry in your bag, so you will always have it with you when you need it. :: Characteristically leather is going to be slightly imperfect at times. This is a natural material, so these aren't to be considered flaws, but unique traits of each piece.